House Built with Love sells for $650K! What an incredible day was had by all at yesterday’s Auction of the 2018 Build for a Cure home at The Bower, Medowie! 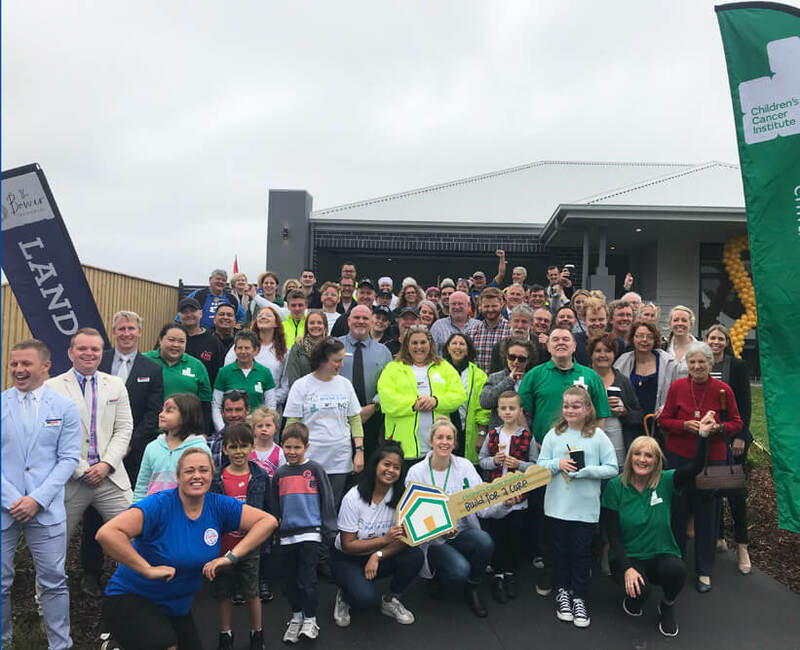 The house built with love went under the hammer with The Block’s auctioneer Damien Cooley raising an astounding $650,000 with each and every dollar donated to the Children’s Cancer Institute to fund lifesaving research. The Build for a Cure house was built and furnished in just 21 days with everything from the land, materials, furniture and finishes right down to the landscaping donated by a suite of corporate partners, community groups and individuals. Prior to the final bid Executive Director of the Children’s Cancer Institute, Professor Michelle Haber AM, said she was excited for the forthcoming auction and eagerly awaits the result. “The Build for a Cure initiative is in its fourth year and has raised over $2 million to date for The Children’s Cancer Institute. All of the money raised go towards research which will help us achieve our goal of curing every child with cancer. McCloy Group couldn’t be prouder to be involved in the project for the second year in the Hunter, donating the land this year at The Bower, Medowie. Chairman, Jeff McCloy stated “We believe it’s important to give back to the community that has supported us and working with the Children’s Cancer Institute to bring childhood cancer to zero is a great cause to support. It was a fantastic outcome to see the home sell at auction for $650,000”. Thank you to our key build partners McDonald Jones Homes, the trades, community groups and suppliers who all banded together to make the 2018 Build for a Cure the success that it was! We look forward to working again with the Children’s Cancer Institute to cure childhood cancer!